The previous Roundup, April 2012/2 is here, April 2012/1 is here and earlier Roundups are indexed here. A one-day glitch on 18 April 2012 caused all classicsonline.coms Naxos downloads to be re-priced from £4.99 to £7.99. Fortunately the problem was put right the next day but it serves as reminder that you should always note the price that youre being charged and check if there seems to be an anomaly. This is a very worthy successor to Volume 1 (COR16087) which appeared some time ago and which I hope will now also appear in due course in a lossless download from thesixteendigital.com. If you cant wait, its available in best-quality mp3 from classicsonline.com, complete with the pdf booklet, or you can stream it from the Naxos Music Library while youre waiting for the lossless version to appear. 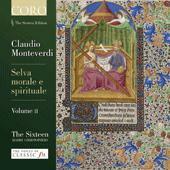 The Selva morale collection of 1641 marks the end which crowns Monteverdis work  finis coronat opus  in many ways its a more important collection than the more famous Vespers of 1610. Indeed, if you own the 2-CD Virgin budget set of the Vespers under Andrew Parrott you will already be familiar with some of the music from this collection, as it has been employed as a filler there. Only Confitebor tibi I appears on both recordings (Virgin Veritas 5616622  without texts  or the slightly more expensive EMI Great Recordings version on 2126852 with texts). The performances on the new Coro recording are first rate  every bit as good as those of the Taverner Choir, Consort and Players on the Parrot recording of the Vespers and benefiting from a more recent recording. Its worth obtaining one of the 24/96 downloads  in flac or alac  as these were created directly from the digital masters, but they do take a long time to download. Im not about to ditch any of the four volumes of Monteverdis music which The Kings Consort recorded for Hyperion, which are also available as lossless downloads, albeit in 16-bit form  see March 2012/1 Roundup for Volumes 3 and 4 and some other recordings of Monteverdi*  but the new Coro recording will certainly be joining them as part of my regular listening. 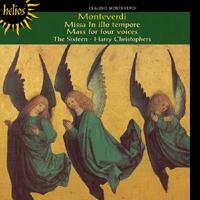 Hyperion also have a recommendable and inexpensive earlier recording of Monteverdi from The Sixteen and Harry Christophers  the Messa a 4 da capella (published posthumously in 1650, not the one from the 1641 collection on Coro) and Missa in illo tempore from the 1610 collection: CDH55145  download from hyperion-records.co.uk in mp3 or lossless for a very reasonable £5.99. On the basis that you cant have too much of a good thing, this would be a very inexpensive addition to the new Coro recording. * including an irresistible bargain download of the 3-CD Harmonia Mundi set of the complete Selva Morale, £7.99 from hmvdigital.com. These recordings first appeared in 1950  apparently two different performances of No.67 are involved, one released on 78s and one on a 10" LP, and Im not sure which was chosen for this transfer. Perhaps the Eclipse reissue of 1970, though theres no sign of the electronic stereo employed there. Im no great lover of Kathleen Ferriers voice, having been a teenager in Blackburn in the 1950s when everyone with any musical pretensions claimed to have had a hand in her discovery and sang her praises ad nauseam, but I heard her recording of No.67 on Radio 3 and found myself much more attracted to the voice than before. To revise my opinion in this way is the best tribute that I can pay to Ferrier in her centenary year. Decca and EMI have already released a shoal of her recordings but this download, at £1.26 or less, is a real bargain (£2.37 from hmvdigital.com for non-members of emusic.com). Its for Ferrier alone that youll want this recording. Reginald Jacques paces the music well  no appoggiaturas and slowish tempi by modern standards, though with none of the dreary heaviness that I expected, except in the chorales of No.11  but the supporting singing is not always of the best and, though Kaffs voice has recorded well, overall the sound is no better than you would expect for its age, especially in No.11. The emusic.com bit-rate is pathetically low; hmvdigital.com offer the full 320kb/s. 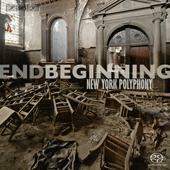 New York Polyphony (Geoffrey Williams (counter-tenor), Geoffrey Silver (tenor), Christopher Dylan Herbert (baritone), Craig Phillips (bass))  rec. October 2011. DDD. A programme of the music of mourning may not sound exciting and one which mixes a single work by a contemporary composer with music from the sixteenth century may seem like a programming mistake, but give this recording a chance and youll find your prejudices confounded. For one thing, the tone is set by Brumels Requiem, not as remarkable a work as his Earthquake Mass  it keeps close to the plainsong throughout  but pretty impressive and certainly not gloomy: apart from Faurés Requiem, which sets only part of the text, I dont think Ive ever heard such a doom-free setting of the Dies Iræ (track 3). All other considerations apart, its wonderful to see Brumel at last receiving attention. Crequillons Lamentations are pretty restrained, too  theres more decorousness than outpouring of grief here. Clemens must have been something of a joker  anyone who could call himself Clement but not Pope Clement couldnt have been otherwise  and though the texts which he sets came from the pen of the Florentine puritan revolutionary Savonarola, this music, too, is restrained. The lament for Absalom, long attributed to Josquin, may actually be by Pierre de la Rue; either way, this work, too, is expressive of dignified rather than anguished grief. Jackson Hills piece which closes the programme was composed for these singers in 2009. Based on a work by Guillaume de Machaut  the text was a favourite of Mary Queen of Scots  its by no means out of place in this programme of renaissance music. Strongly recommended though, surely, a better cover shot could have been found. ** The Eastertide Mass Victimæ Paschali laudes and other works (COR16052  see October 2011/2 Roundup). Ive thrown this recording into the mix even though theres only one short work by Brumel here. 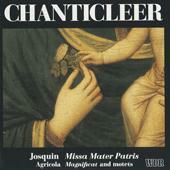 The major interest is provided by Josquins Missa Mater Patris, based on that Brumel motet. As the Chanticleer notes admit, the music is not from Josquins maturity and it may not even be authentic, but nothing that has even been attributed to him should be discarded and thats the case here. As far as Im aware, this is the only recording, and the CD version seems not to be generally available in the UK. One can imagine the Tallis Scholars or The Sixteen producing a more definitive recording but Chanticleer certainly make a good case for it. The eclassical.com price offers excellent value at $6.95 for mp3 or lossless, but comes without the booklet, which contains informative notes, texts and translations and even a facsimile of the first edition. Classisconline.com offer the booklet but at £7.99 for mp3 only. Subscribers to the Naxos Music Library can listen and obtain the booklet there. Johannes Weiss (tenor); bFIVE Recorder Consort (Markus Bartholomé, Katelijne Lanneau, Thomas List, Silja-Maaria Schütt, Mina Voet)  rec. 2010. DDD. Only three tracks involve the vocalist, the rest are for recorder consort only, arrangements of chansons and dance music of one kind or another, all from manuscripts associated with the rich banking family, the Fuggers. Its all very entertaining and well performed and recorded, though none of the music is of quite the same standard as Prætoriuss Terpsichore or Arbeaus Orchésographie. Now that I mention it, we need a more complete recording of the latter than the short extracts on Alto ALC1076  a fine recording at a budget price, with equally fine extracts from Prætorius, Demantius and Holborne*, but we need more of Arbeaus music to replace the LP that once existed on the Turnabout label. If you need only the mp3, classicsonline.coms £7.99 and eclassical.coms $10.76 are about equal. Eclassical.com, however, offers lossless sound for the same price, while the Naxos Music Library and classicsonline.com include the booklet. * The hmvdigital.com downloads is over-priced at £7.99, as is that from amazon.co.uk at £7.49 when the CD can be obtained for just over £5 and classicsonline.com charge £4.99. 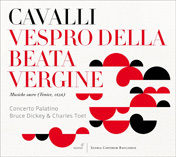 Concerto Palatino/Bruce Dickey and Charles Toet  rec. 1994. DDD. No booklet  brief notes available from glossamusic.com. Why has this wonderful Glossa recording been kept under wraps for so long? Cavallis secular music is well known, though not well represented in the current catalogue, but his religious works from Musiche sacre, whence these Vesper settings are derived, far less so. The mp3 recording from classicsonline.com sounds fine but you may wish to wait for the lossless version which Im sure eclassical.com will release soon  and, on past form, little if anything more expensive than the classicsonline.com version. The Hyperion recording is already available in lossless form as well as mp3  and complete with booklet, too, for just £5.99. The Mass, another work from the 1656 collection, the first item there, indeed, is performed here in the contemporary Venetian manner interspersed with vocal and instrumental items. With very good performances and recording, this would make an excellent purchase  either on its own or as a supplement to the Glossa Vespers. 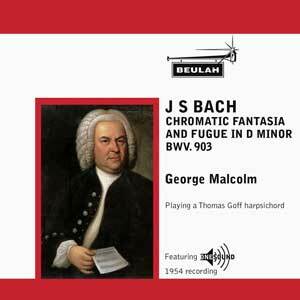 George Malcolm (harpsichord by Thomas Goff)  rec. 1954. ADD/mono. These two recordings were released in tandem on a Decca 10" mono LP. I must admit to some feelings of ambiguity when it comes to George Malcolms Bach: we owe much of what we now think of as authentic performance to him and Thurston Dart, but the instruments which he employed would now be regarded as inauthentic. The miracle is that he was able to produce a performance of such subtlety as this of the Italian Concerto  plenty of virtuoso playing and forward momentum, though not clockwork-sounding and with real delicacy where its called for. The recording has come up sounding well. With such fine performances, my likes easily outweigh my reservations in the final analysis. Ludwig van BEETHOVEN (1770-1827) Bagatelles and other short pieces. Steven Osborne (piano)  rec. July 2011. DDD. 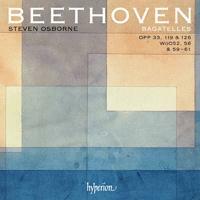 Steven Osbornes performance of the Beethoven Bagatelles makes us realise that these pieces are no mere trifles. He shows us that these little gems are the work of a master, full of invention, variety and interest from first note to last. The Bagatelles were written throughout Beethovens life. Some of the early ones were revised later, and Op. 126 was the composers final offering in terms of piano music. Osborne responds to the grazioso marking at the head of Opus 33 No.1 with a light and charming performance. He neatly contrasts the staccatos with graceful legato passages, particularly in the ever-increasing complexity of the varied returns of the main theme. Glenn Gould gives a somewhat dry account with rather aggressive and charmless playing. Osborne captures the humour of the second piece in the set. It is a scherzo with an abrupt, staccato motif in the first bar followed by loud notes in the low register of the keyboard. I am reminded of Schnabel here but I prefer Osborne and of course he is much better recorded. I like Jenö Jandós opening better because he maintains the pulse without clipping the staccato notes. Osborne gives a very stylish performance of Opus 33 No.3, a gentle piece in pastoral mood. Glenn Gould has other ideas! He turns into a fast and trivial number. You can hardly catch your breath. In No.4, Osborne gives a fine performance balancing the music well when the main theme returns in the bass. Jenö Jandó is always reliable, but as on so many of his recordings, his playing is a little dull and unimaginative and the recording is over-resonant. A striking feature of Osbornes performance is clarity of texture and a good example of this is the fast-moving semiquavers in No.5 of Opus 33. I love his phrasing in the minor key middle section. John Lill plays a little more quickly here, but Osborne treats us to a more subtle and expressive rubato. Steven Osborne gives a delightful performance of Opus 119 No.1. There is great clarity and beautiful phrasing in the semi-quaver triplets of the main theme. Brendel has a more romantic approach with a slower second section, but his return to the first theme seems rather fussy, making too much of something which is delightful in its simplicity. 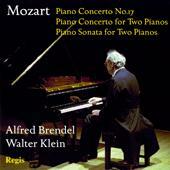 In No.2 Brendel is a little quicker than Osborne, but the recording is less clear. No.5 is a dramatic affair and No.6 begins with an improvisatory section followed by a light-hearted allegretto. Osborne captures the spirit of these pieces perfectly. No.7 is the most interesting of the set. Osborne builds the music to a virtuosic climax with a huge accelerando towards the end. He is rather more wild and exciting than Brendel. No.9 is a tiny, tranquil and wistful piece played beautifully by Osborne. Brendel is in a different mood. He gives a quicker but more solid performance with dramatic, subito pianos (crescendos immediately followed by a sudden soft chord). No.11, the final piece of the set is a simple, beautifully rounded composition exquisitely played by Osborne. In Op. 126 No.1 Osborne, like Brendel gives a nicely flowing performance. Friedrich Gulda is very effective too, though his interpretation is a more solemn and slower affair. In No.2, Osborne captures the contrasting moods. Brendel is a bit lighter in the vigorous forte sections. Osborne plays with serenity and poise in his account of the third bagatelle, and I also like Schnabels reading in a performance of great clarity of texture. Osborne gives a vigorous performance of No.4 but sometimes there is a lack of clarity in the fortes. Sviatoslav Richter is the fastest performer, and he gives a thrillingly virtuosic account. I think Beethoven would have liked this and I forgive him for catching a few wrong notes here and there. In No.5, Gulda is again a little slower than Osborne but both give sensitive performances of this charming piece. Jenö Jando is a little dull and less expressive in comparison. In No.6, Osborne makes much of the contrast between the Presto and the Andante which follows. He captures the elegiac mood of this final piece of the set. Brendel plays with even greater depth of expression with a beautiful sense of balance. Perhaps Brendel is still the master, especially when it comes to profundity of expression. The final pieces in this recording range from very short trifles such as WoO61 to more extensive pieces such as the Bagatelle WoO52, originally intended to be part of the Sonata Opus 10 No.1. All are characterfully played and it is good to hear Für Elise played as it should be. I will be hanging on to my Brendel recording, which is my first choice, but this is a very welcome album collecting together all the Bagatelles and other short pieces. They are all beautifully played by Steven Osborne and the recording is excellent. 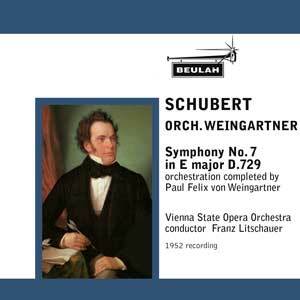 This is a reconstruction of Schuberts real seventh symphony, not Joachims orchestrated version of the Grand Duo which was once thought to be the lost Gmunden-Gastein symphony, as recorded among others by Michael Halász on Naxos (reviewed in the April 2012/2 here) and, with greater success by Claudio Abbado on DG (September 2010 Roundup)*. Schubert drafted this but orchestrated only a small part  its one of several symphonies that deserve the appellation unfinished, perhaps more than the eighth which usually goes by that title. He seems to have somehow lost his nerve for completing symphonies around this time but Weingartners completion demonstrates that the work was good enough to have been rescued and it receives a sympathetic performance; though the VSOO were hardly the equals of their more famous neighbours the Vienna Phil, theres nothing much amiss with their playing here and Litschauer proves himself an accomplished Schubertian. So why did I find the whole thing enjoyable but unmemorable? This recording, though made in 1952, was not released in the UK until several years later, on the Vanguard label. Many Vanguard recordings from the 1950s still sound fine, but this has not worn too well. In Beulahs transcription it still sounds thin, though perfectly acceptable and mercifully free from surface noise. There is a more recent completion by Brian Newbould, included in a set of all the symphonies plus several fragments by the ASMF and Neville Marriner and recently reissued on Newton Classics 8802033. On CD for around £25 or download the earlier Philips release from hmvdigital.com. * ignore the defunct passionato.com link and download from hmvdigital.com  or go for the complete set, five CDs for a bargain £11.99, again from hmvdigital.com. This Fantasie deserves to be much better known and Adolf Busch and Rudolf Serkin form a dream partnership in the music; each was famous in his own right, the former as leader of the eponymous Busch Quartet, while Serkin was to go on until well into the stereo era as a renowned soloist, especially in Mozart, Beethoven and Brahms. Only last month I fell in love with a cello-and-piano transcription of the Fantasie, performed by Pieter Wispelwey and Paolo Giacometti (ONYX4046)  more authentic in their use of period instruments, but less so in employing a transcription  but Busch and Serkin are even more intense in their performance of the andantino variations on Sei mir gegrüsst. 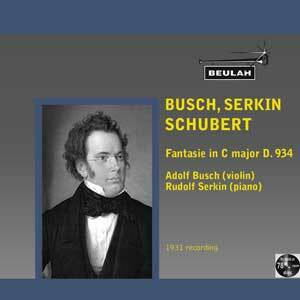 Its unfortunate that Regis have recently reissued a 3-CD set of Busch and Serkin performances of Schubert chamber music at super-budget price (RRC3012). You may well want that for the classic account of the Piano Trio No.2, with Hermann Busch on cello, but the Beulah release is ideal for those who dont want to go the whole hog. The recording sounds surprisingly well for its age, thanks, no doubt to the care taken with the transfer. Theres a good frequency- and dynamic range and only very light surface noise. The Regis release had not yet appeared for streaming from the Naxos Music Library at the time of writing, so I havent been able to compare their transfer; I doubt that it could be significantly better. Lisa della Casa (soprano); Carl Hudez (piano)  rec. 1956. ADD. These selections are taken from a Decca LP released in 1957. 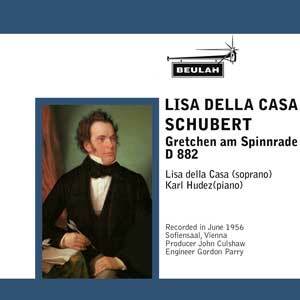 Lisa della Casa had a small but very beautiful voice and she uses it to good effect here in these four Schubert lieder, four of the very best works that he composed for the female voice. By comparison with the likes of Gerald Moore, her accompanist, whom I had never even heard of, is efficient but no great shakes. Whether through his influence or from her own inclination, the rallentandi complained of in 1957 do sound artificial, though they didnt spoil my enjoyment. I could have wished, too, that she had shown the same sympathy for Du bist die Ruh as Busch and Serkin for the same tune in their recording of the Fantasie (above). Gretchen am Spinnrade is sung superbly, with real feeling for the music. The recording is good, though, surprisingly for John Culshaw, both della Casa and Hudez sound rather distant; turning up the volume inevitably increases the otherwise hardly noticeable tape hiss. The original LP contained songs by Brahms and Richard Strauss; may we have these, too, please? The Reformation Symphony, composed in 1830 for the tercentenary of the Augsburg Confession but not performed until 1832, was neglected in Mendelssohns own day and is still less frequently performed and recorded than its predecessors, the Scottish and Italian symphonies. Unsurprisingly, then, this recording was hailed as a welcome rarity in 1948. The recording is not great, even for its age, and theres a fair amount of surface noise, though it didnt prevent me from enjoying the performance. The variations on Ein feste Burg in the finale go with a real swing  the highlight of an idiomatic performance of the whole symphony. 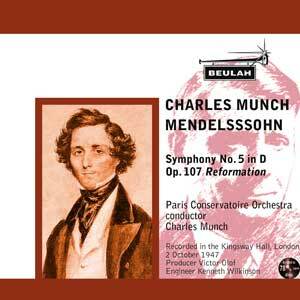 Munch made a later recording of this symphony with the Boston Symphony Orchestra, first released in the UK in 1968 on RCA Victrola VICS1293, currently available only as part of an 8-CD set (88697826732). Period-instrument specialists in romantic repertoire dont always make a good mix, but theres likely to be little controversy over Andrew Manzes Brahms. Part of the secret is his refusal to hurry, often taking even longer than Klemperer, my benchmark for these symphonies, as in the opening movement of No.1 where the music is given time to breathe. In the finale, too, an extra few seconds give the big Beethoven-like tune time to breathe and expand. Simon Rattle, whose recording John Quinn counted a conspicuous success* (Recording of the Month  see review) is even more expansive here; I think that Manze achieves an ideal tempo  breadth without lethargy  but I liked Rattle very much, too. One review which Ive read suggests that Manze is fleet of foot in the outer movements; the timings tell a different story, though the presence of the first movement repeat, omitted by Klemperer, partly explains the difference. In any case, its Manzes ability to keep the music moving that makes his tempo seem fast. CD1 is completed with an excellent account of the St Anthony Variations. The first movement of No.2 is also spacious by comparison with Klemperer and Rattle, yet here again I never felt that the music was being allowed to drag. Beecham famously used to bring the house down in the finale; Manze doesnt quite do that. 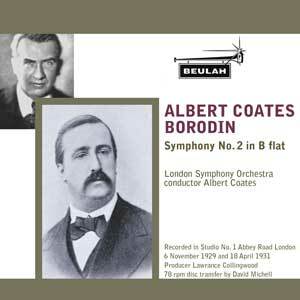 At 8:50, however, he shaves almost a minute off Beechams BBC Legends recording (9:42) and matches his EMI version, newly restored to us in The Later Tradition (9186112  see review and March 2012/1 Roundup. Unfortunately classicsonline.com have raised the price for that  temporarily, I hope; Im assured that they are getting their EMI prices in order  to a ridiculous £43.99 since I recommended it. hmvdigital.com have it for £14.99). Manze makes a good case for the Tragic Overture and closes CD2 with a rip-roaring version of the Academic Festival. Its in the Third and Fourth Symphonies  the third CD in this set  that the best performances shine: Otto Klemperer in both, Stanislav Skrowaczewski and James Loughran, both with the Hallé, in the Fourth, to name my favourites  and of these only the Klemperer remains extant. The opening of the Third is less craggy, more lyrical than Klemperer and, for that reason, its with the older recording that my loyalty still mainly lies. On the other hand, I do sometimes want a more comfortable Brahms experience than Klemperer offers, and Andrew Manze is likely to be the man to provide it. In that respect he replaces my CD of the 1964 BPO/Karajan recording on DG. If Manzes account of the second movement seems a little dreamy  certainly slow, at 10:18 by comparison with Klemperers 8:17  thats part of the more gemütlich Brahms who emerges from this performance. The remaining two movements were so enjoyable that I didnt feel constrained to make detailed comparisons and the same is true of the Fourth  a rare achievement when there are so few versions of this symphony that I have ever heard that I have found up to the mark. The second movement is slow  slower than Klemperer again  but not objectionably so. The pdf booklet is rudimentary  it contains only the front and rear covers and the track details and timings  and those listed on the rear insert are way off beam, with Symphony No.1 given as lasting 30:45! (recte 45:30  exactly the wrong way round, like Eric Morecambes assertion to André Previn that he was playing the right notes in the Grieg Piano Concerto, but not necessarily in the right order). The recording is good, but theres no surround sound as there is with the SACDs, which are currently on sale from more than one dealer for only a few pence more than the classicsonline.com download. Alternatively, you could wait for the lossless version which will presumably soon be issued by eclassical.com. Michael Cookson thought that he had found his ideal modern challenger to Klemperer in the Rattle set, a judgement with which I might concur from having dipped into it via Naxos Music Library, but I also think that the new Manze set fits that description. The proviso, however, is that I shall also want to listen to Klemperer, still my no.1 choice and still available for just £4.39 from amazon.co.uk; though I cant confirm that the dropout on track 1 has been corrected  see May 2009 Roundup. If theres a problem, you could always obtain this track singly from hmvdigital.com (£0.99) or classicsonline.com (£0.79). The lossless version from passionato.com is no longer available  they are no longer in the download business. If forced to choose one set of symphonies for my exile to the legendary desert island, I might be tempted to choose Haydn or Mozart for the sheer numbers of their output and Beethoven would clearly enter the equation, but the final choice would have to be Brahms. Manze or Rattle would do very nicely but the ultimate choice would have to be Klemperer. * Michael Cookson was also impressed  see review. Recording a full orchestra was still a hazardous business in 1929 and 1931, so its hardly surprising that the recording shows its age, though by a good deal less than I had expected. 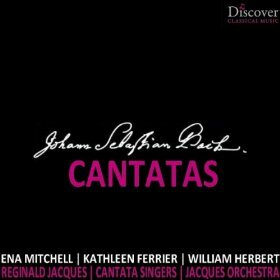 Theres far less distortion, for example, than on the much later recording of Kathleen Ferrier in Bachs Cantata No. 67 (above), largely because I suspect that Beulah take a great deal more care with their transfers than Discovering Classical Music. Theres some inevitable 78 rpm light frying noise in the background, though its not really troublesome  Ive heard some of the poorer efforts from Saga and Supraphon on 1960s LP that sounded worse. The performance was worth perpetuating: an exciting account of the first movement is punctuated by occasional rubato to a greater extent than is now usual. It wasnt commented on at the time, not merely because it was then usual practice, but because the reviewer didnt actually say anything about the performance. Delighted to have the music recorded, he concentrated on telling his readers what to expect from the music; perhaps we dont do that enough nowadays. After the first movement I didnt notice anything that wouldnt pass muster nowadays  or perhaps I was becoming more attuned to Coatess manner. Whatever the reason, I enjoyed hearing this blast from the past, though its hardly likely to supplant more modern choices, such as Gerard Schwarz on Naxos, with Symphonies 1 and 3 (8.572786  see August 2011/2 Roundup and Bargain of the Month review). The symphony is in b minor, not B flat as stated on the Beulah cover. Gothenburg Symphony Orchestra/Myung-Wha Chung  rec. 1987 and 1989. DDD. CHANNEL CLASSICS CCSSA30010 [59:00]  from channelclassics.com (mp3, 16- and 24-bit lossless and DSD). Czech Philharmonic Orchestra/Ji·í Belohlávek  rec.1992 and 1994. DDD. The new BIS recording of No.7 which Dan has reviewed below sent me back for comparison to a number of older recordings. In the event I discovered that Id opened a veritable can of worms  every single one of the recordings under consideration is good enough for a top recommendation or comes very close. The recordings which couple No.7 with No.8 offer very good value, with playing times of 70 minutes plus. If price is a major factor, Marin Alsop on Naxos can be yours for just £4.99 and the download includes the pdf booklet. Her version of No.7 caught my attention more than No.8 but this is a strong competitor. 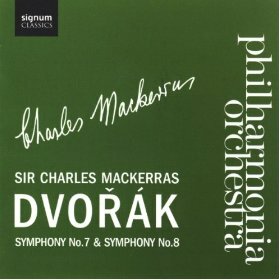 I have a soft spot for Sir Charles Mackerras in Dvořák and I think he sweeps the board for versions which couple these two symphonies. Even in the Seventh he never allows the clouds of gloom to descend too far and his Eight is gloriously free-wheeling yet theres trenchancy, too, in both symphonies. The Signum recording costs more than the Naxos (£7.99 from classicsonline.com or £6.32 from hmvdigital.com.) and theres no booklet, but I think that this version makes it worth accepting both those factors. Both downloads of the Signum come at the top mp3 bit-rate but BIS and eclassical.com offer the Myung Wha Chung recording in 16-bit lossless as well as mp3, for no extra price, complete with a pdf booklet. Like the Jiři Bělohlávek version on Chandos, this has been around for a while and would benefit from a price reduction  at $11.99 its a dollar more than the new recording. The performances are a touch lightweight by comparison with the competition but still worth considering. I still think that Iván Fischer offers the best performance of No.8, coupled with No.9 and his recording, formerly Philips, is now available from Channel Classics in a variety of formats up to 24/192. Those who followed my recommendation of his Eighth and are still looking for a version of No.7 should head straight to the channelclassics.com website  here  for his recording of No.7, coupled with a recording of the American Suite  not one of the best-known Dvořák works but well worth getting to know. It comes with an excellent pdf booklet and can be downloaded in a variety of formats, from an inexpensive mp3 (£7.44) right up to Studio Master 24/192 (£16.53) and DSD (£24.79). This version offers the shortest value of any here but the quality of performance and recording more than makes up  I listened to the 24/96 version which seems to me a reasonable compromise between quality and cost at £14.05, though Im told that the 24/192 format is their best seller. The YouTube video on the page which youll find by following the link will give you some idea of the quality of the performance. That leaves the new BIS recording from Flor and the Chandos recording from Jiři Bělohlávek. 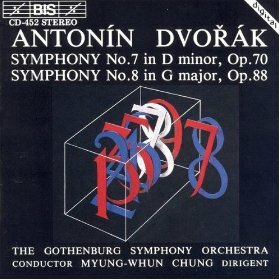 The latter offers a fine performance, coupled with the terrifying Vodník  the green apparition on the cover of the old Supraphon LP recording still makes me shudder  but it would be more competitive with Fischer among recordings of the Seventh without the Eighth if Chandos were to reduce it to mid price: at £9.99 for 16-bit lossless its more expensive than the new BIS from eclassical.com. Claus Peter Flor offers the most generous coupling of all those which contain the Seventh and not the Eighth. Like the Channel Classics, this is available in mp3, 16-bit and 24-bit versions. The first two formats cost a very reasonable $10.90 each and the 24/44.1 is a little more expensive at $15.26. Theres a pdf booklet and its possible to return for the mp3 version at no extra cost once you have downloaded one of the lossless formats. His Seventh is certainly a major contender, unlike his recording of the Eighth some years ago with the RPO for RCA which received a panning for its slow tempi and sluggish playing. Hes the slowest overall by a small margin, but not sluggish: as Dan writes, its an uncompromising account but theres plenty of life in it. Finally, at the risk of muddying the waters still further, theres a superb bargain in the form of recordings of Nos. 5, 7-9 and Vltava from Smetanas Má Vlast from Mariss Jansons and the Oslo PO on an EMI 3-CD budget set. Ive dipped into this via the Naxos Music Library and fully endorse the welcoming reviews from Rob Barnett  here  and Tim Perry  here (5008782: Bargain of the Month). I especially enjoyed this version of the neglected No.5. I havent been able to find a download thats much less expensive than the parent CDs, which cost around £7, though that may well change when classicsonline.com get their EMI pricing policy in order, as promised  at the moment it costs more than twice as much as the CDs, but keep watching. If you go for the Jansons, that leaves only No. 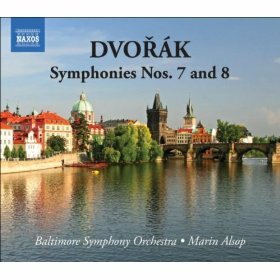 6 among the mature symphonies  try Marin Alsop on Naxos 8.570995 or Sir Charles Mackerras on Supraphon SU37712  see January 2011 Roundup for both. The Mackerras can be had for just £2.10 from emusic.com but theres an even better bargain: My Life with Czech Music (Supraphon) offers Mackerrass versions of Nos. 6, 8-9, both sets of Slavonic Dances, the Legends, the symphonic poems, Scherzo capriccioso, and Smetanas complete Má Vlast, over seven hours, all for an unbelievably inexpensive £7.99 from hmvdigital.com. The hmvdigital.com download is at 320kb/s; that of Symphony No.6 from emusic.com averages just over 200kb/s, while their version of the symphonic poems falls on one track to 181kb/s. 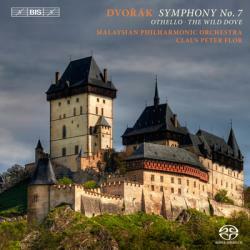 Two new releases from BIS, reviewed here in their 24-bit form; a Dvořák Seventh and Ahos three Chamber Symphonies. Regular readers will know Im a great admirer of the Malaysian Philharmonic and Claus Peter Flor, whose recording of Smetanas Má Vlast was a deserving Download of the Month (review). Under Kees Bakels theyve also recorded a fine set of Rimsky-Korsakovs orchestral pieces and the Kalinnikov symphonies, the latter  in CD form  one of my picks for 2011. Both are available for download from eclassical, the Rimsky as separate issues. The Seventh, a Royal Philharmonic commission, is uncommonly gaunt, but as Jean-Pascal Vachon points out in his excellent liner-notes the recent death of Dvořáks mother and Smetanas ill-health were very much on the composers mind at the time. The Allegro maestoso gets a strong, incisive outing here, the orchestra as focused and disciplined as ever; Flor brings out the movements fleeting, dance-like elements but doesnt shrink from the imposing tuttis. Compared with the beautifully judged Smetana recording I found this one a little unforgiving at times  hard-edged, even  but one could argue that suits this most trenchant work. The Poco adagio offers some respite, but really theres no escaping the symphonys equivocal mood; even those impassioned, swelling passages are darker of hue than usual, and as much as the music tries to take wing it seems cruelly tethered. Indeed, this must be one of the most uncompromising versions of the Seventh on record; that said, Flor finds plenty of mobility and lift in the Scherzo, rhythms suitably emphatic and climaxes nicely scaled. As a reading its a little bluff, as if the works true intent were being kept from our gaze; again, one could argue this isnt a carefree, open-hearted symphony, and that Flor simply underlines that at every turn. Certainly the Finale is as taut and sinewy as Ive ever heard it. Of the fillers the Othello overture stands on more familiar ground; emotionally its more pliant, textures are richer and theres a compelling narrative as well. The playing is wonderfully alert, the timps and cymbals especially impressive. Rafael Kubelik (DG) is perhaps more poetic, but for sheer drama Flor is hard to beat. As for The Wild Dove, based on a ballad by the influential Czech poet Karel Jaromír Erben, its a folk tale of love, loss, guilt and madness artfully condensed into just under twenty minutes. This is the composer at his most engaging and atmospheric, all sections of the orchestra acquitting themselves very well indeed. Another fine release from this hugely talented combo, although not quite in the same league as that fabulous Má Vlast, which I listen to  and marvel at  often. Of the three items here Id probably choose the overture and tone poem  both excellent  and look elsewhere for a more revealing version of the symphony. One oddity worth mentioning; the timings in the pdf booklet and on the flac files are different; for instance, The Wild Dove is listed at 18:50 but actually plays for 19:21. Timings for the other tracks are also at variance, albeit less so. The Finnish composer Kalevi Aho is a fresh and invigorating presence in music today, as these chamber symphonies so aptly demonstrate. Twenty years separates the first and third, yet all celebrate a singular talent. As the composer explains in his very detailed liner-notes, the Chamber Symphony No. 1 was written at the same time as his his Fifth Symphony, the latter also available from eclassical and reviewed  in CD form  here. The extreme string sounds of the first piece create a false sense of security, for these cool, contrasting lines are interspersed with powerful, slashing figures that simply take ones breath away. This is hugely incisive writing  and playing  that for all its divergence allows one to hear precisely how each strand unfolds and develops. This may be just a 44.1kHz original, but it has extraordinary impact and transparency; in particular the lower strings have a dark, sinuous purr thats thrillingly tactile. But its the sheer energy and bite of the Tapiola band  ably directed by Stefan Asbury  that impresses most. The work builds to a big, multi-stranded climax and soulful/restless finale. Goodness, what a pithy piece this is  so much incident packed into just 13 minutes  and how assured. The second piece, cast in three linked movements, is perhaps even more demanding of its string players. For such a gnarled soundscape its curiously compelling, now louring now reflective, Aho creating great swells of string sound along the way. Initially this work promises to be abstruse  opaque, even  but as Ive discovered with this composer theres a richly worked seam of music to be found behind these otherwise intimidating façades; the short second movement is a strange but refreshing hiatus before were plunged into a fierce, declamatory furioso. Once again theres that familiar Aho trademark, a contrasting  and seemingly tangential  conclusion that makes one want to hear the entire piece again. frozen are the restless waters, ... oh, I have heard the wild geese calling, ... the long nights are melting and ... towards the open sea rows a fire-red boat  that describe the four movements. Its a haunting work of calls and echoes that has more focus and distils more feeling than one might expect from a disparate mix of cultures and idioms. But such seamless assimilation is another Aho characteristic, the exotic loveliness of the third movement due in no small measure to the sometimes pan-pipe-like playing of saxophonist John-Edward Kelly. But Aho doesnt indulges in prettified mood music and modulates into and out of something much more forthright, drawing rich, fulsome tones from his soloist in the process. The conductor Jean-Jacques Kantorow holds it all together very well, and I suspect the Tapiola Concert Hall acoustic has a significant part to play in the warmth and spaciousness of these recordings. The final movement has a mesmeric beauty and, as expected, ends on a note of radiant quietude. A most welcome addition to the Aho discography, tautly argued and commandingly played. And despite its forbidding exterior, this music is deeply human and hugely rewarding. Indeed, if I were reviewing this for the CD section of the MusicWeb International site Id be tempted to make it a Recording of the Month. As with the Dvo·ák, printed playing times and actual track lengths dont tally, which is puzzling. 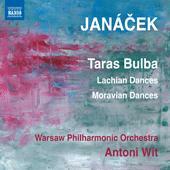 Naxos already had a recording of Taras Bulba and the Lachian Dances dating from 1988 and 1990, but they are coupled with a version of the Sinfonietta which Ive always thought to be underpowered (8.550411). The new recording may be less logically coupled, but it has the oomph that the older one lacked. The playing time is short, but thats taken care of by eclassical.coms policy of charging by the second. The recording as streamed from the Naxos Music Library is good but the eclassical.com lossless version has the edge, sounding very well indeed and not costing much more than the classicsonline.com download, which is in mp3 only. For the Janáček Sinfonietta and Glagolitic Mass, another recording directed by Wit for Naxos offers a good choice: 8.572639  see December 2011/1 Roundup. Yet another Naxos recording of Janáček  Suites from the operas, 8.570555  received a Recording of the Year accolade in 2009: see review and January 2010 Roundup. 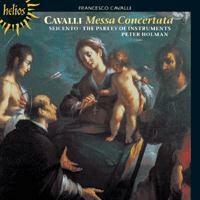 CHANDOS CHAN10709 [74:44]  from theclassicalshop.net (mp3, 16- and 24-bit lossless) or stream from Naxos Music Library. This recording was a very strong contender for Download of the Month. If you find the du Pré/Barbirolli recordings of the Cello Concerto* too intense, you may well prefer this more lyrical account  as, indeed, I do. 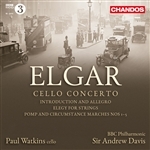 My wife, who loves everything else by Elgar, hates the Cello Concerto with an inveterate hate; I had hoped that the new version would do the trick as, indeed, long ago I tried with the Lynn Harrell/Lorin Maazel recording, another fine recording, currently coupled with the Enigma Variations on Eloquence 450 0212, but to no avail. Its still her only Elgar bête noire. The Cello Concerto is the main work but the rest of the programme has strong appeal, too. If you were to make a list of favourite Elgars works apart from the symphonies and concertos, Im sure that the Introduction and Allegro and the Pomp and Circumstance Marches  all five of them here  would be at or near the top. Memories of Barbirollis classic account of the former** are not erased, though, as with the Cello Concerto, those who dont wish their heart strings to be tugged quite so hard will be grateful for the new version. For many years another Chandos recording has been my preferred version of the Pomp and Circumstance Marches  Alexander Gibson and the SNO on CHAN8429 with Cockaigne and the Crown of India Suite: download at mid-price from theclassicalshop.net  but the new recording will supersede that for most listeners. With excellent recording  I listened to the 16-bit lossless version; audiophiles will want the 24-bit download  and valuable notes, this deserves to sell like the proverbial hot cakes. Lovers of the classical pops who buy it for the stirring performances of the Marches will, I hope, find much more that they will come to like. * the least expensive download, of the Great Recordings version coupled with Cockaigne and Sea Pictures (Janet Baker), is from hmvdigital.com at £4.99. Both they and classicsonline.com have the more recent EMI Masters  same coupling  for £5.99. ** recently (re)reissued on EMI Masters, with the Serenade in e minor, Delius and Vaughan Williams  download from classicsonline.com. LSO LIVE LSO0715 [68:11]  from iTunes.com or classicsonline.com (both mp3). Booklet included with purchase from both suppliers. Sir Colin Davis has developed a late-life interest in Nielsen; the only surprise is that with his advocacy of Sibelius he has come so late to performing and recording the symphonies of this other great Scandinavian composer. I havent heard the earlier recording, of Nos. 4 and 5, but I very much enjoyed this version of the first and last symphonies, neither of which is exactly in the Nielsen mainstream. The Sixth is not easy to come to terms with  that subtitle is extremely misleading; in many ways its music that doesnt try to be liked  but Daviss performance rivals the Blomstedt version which I recommended in the April 2012/1 Roundup. For Previn with the LSO in No.1, as resuscitated by High Definition Tape Transfer, see review by Rob Barnett, Dan Morgans review in the February 2012/1 Roundup and mine in the subsequent edition. 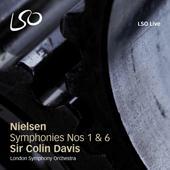 This latest release in the LSO/Davis series of Nielsen recordings comes in an enhanced format from iTunes. Apparently there has been disquiet in the highest circles of Apple about the quality of their downloads but, rather than do the obvious and offer downloads in flac or Apples own lossless alac, the attention has been transferred from the final product to the quality of the original, now no longer mastered from CD but from special studio masters. Half of that seems logical to me  there are dark rumours in some quarters about 16-bit CDs being upgraded and sold as 24-bit recordings, so attention to the original seems sensible  but it seems illogical to go to all that trouble for a download offered in less than lossless CD quality. Nevertheless, I decided to try the result and the new Nielsen recording seemed a good place to start. The sound is good but not outstanding  about on a par with the CD-quality streamed version from the Naxos Music Library. Its been transferred in variable-bit format, with the tracks averaging somewhere between 262 and 264 kb/s, but Im sure it would benefit even more from being offered in alac, the format which Apple themselves have developed. Why develop alac and leave it to others, such as Hyperion, to offer it? This recording is just £5.99 from iTunes whereas the classicsonline.com version comes at £7.99; though its offered in 320kb/s format, thats not a huge saving over the cost of the hybrid SACD  one online supplier was even offering that at £6.75 at the time of writing. At least its more competitive than hmvdigital.com, also £7.99 for a 320kb/s download, but without the booklet. Amazon.co.uk rather shoot themselves in the foot by charging just pence more for the SACD than for the download  no booklet and presumably at 256kb/s only. Both iTunes.com and classicsonline.com offer a booklet but whereas the latter give us a pdf version of the one which comes with the SACD, complete with rear insert, and can be printed out for insertion in a CD case, the iTunes.com version is apparently taken from the Barbican programme and is the wrong size for a CD case. The CD-size booklet can also been downloaded from the Naxos Music Library. Emily Beynon (flute); Andrew West (piano)  rec. 2000. DDD. Poulencs Sonata for Flute and Piano is one of the most popular sonatas in every flautists repertoire and one of this composers best and most characteristic pieces. Emily Beynon and Andrew West give a beautifully balanced performance. I particularly like Beynons sustained tone on the longer notes in the soft passages in the slow movement, although for me, there is too much vibrato in the first theme of her first movement. Emanuel Pahud uses less vibrato and plays the opening with sensitive rubato, but his tone is lighter and less full than Beynons. In the second movement, some may prefer the much more flowing tempo of Jean-Pierre Rampal, and as he is accompanied at the piano by the composer himself, we can assume that this was Poulencs preferred speed. In the final movement marked presto giocoso, Beynon and West acquit themselves with great virtuosity. Sometimes I feel that Andrew West could be a bit more characterful to match the flautists variety of colour. Aurics Aria is a rather inconsequential but charming little piece but it is nicely played. His Imaginées 1 is one of the more interesting works in this album and it must have sounded very modern to its first audience. Tailleferres Pastorale is very attractive, and her Forlane is rather melancholy and reminiscent of Ravel, this composers mentor. Emily Beynon once again demonstrates her lovely tone. Tailleferres Pastorale for solo piano is charming and gentle. Honeggers Danse de la chèvre for flute solo inevitably reminds us of Debussys Syrinx. It begins with a sad melody based on a discordant interval, but the music soon becomes more lively and dance-like. The piece provides the flautist with plenty of opportunities to display her skills and musicianship, and it is executed with great virtuosity by Emily Beynon. Honeggers Romance is very well-played with sensitive accompaniment from the pianist. We rarely hear the music of Durey so it was good to hear his Sonatine Opus 25. This is an impressive and enjoyable work and in the first movement, Nonchalant, an attractive melodic line is elaborated. There is some delicious and subtle piano playing here. I really enjoyed the sustained and characterful second movement. This is a well-composed short sonata, always interesting, with the flute and piano parts having equal importance and sharing musical material. Dureys Deux Dialogues for solo flute also provide much food for thought. Milhauds Sonatine Op. 76 is one of the best works in the album. The substantial first movement begins with a wistful opening which develops into more dramatic music before returning to the opening melody. The finale provides plenty of showy opportunities for the players to demonstrate their mettle, and there is an exciting climax followed by a return to the main theme of the first movement. 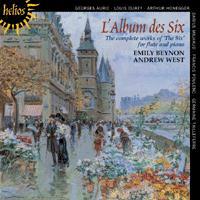 The Album des Six consists of six pieces for solo piano by each composer of the group. Aurics Prélude is witty with its discordant effects, whilst Honnegers Sarabande and Milhauds Mazurka are perhaps the two most characterful works in the set. Dureys Romance sans paroles is a more substantial piece and all are stylishly played by Andrew West. This is an innovative and very attractive album, exquisitely played and well recorded. Highly recommended and well worth hearing! Finzi Quartet (Sara Wolstenholme (violin 1); Natalie Klouda (violin 2); Ruth Gibson (viola); Lydia Shelley (cello)) with Marcus Farnsworth (baritone); Robert Plane (clarinet); Ruth Bolister (oboe)  rec. February 2012. DDD. RESONUS CLASSICS RES10109 [73:05]  download only, from resonusclassics.com (mp3, 16- and 24-bit lossless) or stream from Naxos Music Library. This is only the ninth release from Resonus but they have already established themselves as a force to be reckoned with, filling gaps in the catalogue by offering adventurous recordings of contemporary composers and neglected music by their predecessors. By offering download versions only, they are able to get their recordings online with commendable rapidity  recorded in early February 2012, the recording was in my in-tray on 24 April  the day after St Georges Day, a very appropriate time to release music by such an archetypically English composer. Its due for general release on the first of May. Not only is most of the music new to the catalogue in its present form, its also beautiful and highly enjoyable. Not everything here is as Finzi wrote it, but you would hardly realise it, so idiomatic are Christian Alexanders arrangements. The central work, which gives the recording its title, though early, is pure Finzi with words by his favourite poet, Thomas Hardy, but not well enough known apart from his setting of The Oxen, which sometimes gets trotted out at Christmas. It receives a stylish performance from baritone Marcus Farnsworth, a young man from whom we shall surely hear much in future. He appears to have specialised in singing Bach, but his voice is well suited to Finzis manner as is the playing of the eponymous Finzi Quartet, both here and in the other works. With equally fine assistance from Robert Plane and Ruth Bolister, good recording and excellent notes, this deserves a strong recommendation to match its eight Resonus predecessors. There is just one rival recording of By Footpath and Stile, on a CD which couples the work with Earth and Air and Rain and To a Poet (Naxos 8.557963: Roderick Williams and the Sacconi Quartet  download from classicsonline.com, reduced from £4.99 to £3.99 as I write). Thats a fine recording and highly recommendable if you prefer the coupling  see review, review and review  but the new version gives it a very good run for its money; the tempi on the new recording are slightly more relaxed, but not so that they seem too slow. Theres an excellent budget-price Hyperion Dyad twofer including Earth and Air and Rain from Stephen Varcoe (CDD278020)*, but the idiomatic arrangements of Finzis music by Christopher Alexander are unique to the new Resonus download. A recent correspondent to a music magazine chid the editor for including a review of an earlier Resonus download, preferring to go to the stake rather than soil his hands with downloading. That correspondent is missing a great deal, including the probable future of obtaining music recordings. If you must have an object in your hands, its easy enough to burn the mp3 or wav versions to CDR  the flac files are a bit too large unless you can burn them to DVD  and print out the booklet. * in view of the slight disagreement between Rob Barnett  here  and Em Marshall  here  on this one, I cant resist promising to review it in the next Roundup. John Mark Ainsley (tenor), Craig Ogden (guitar)  rec. 2002. DDD. The Hyperion recording had temporarily fallen into the half-price please buy me category at the time of writing  at £5.60 an already desirable recording was thereby rendered an absolute bargain and brought into line with the price of the Naxos version. Naxos CDs are no longer selling at super-budget price, so the classicsonline.com and Hyperion downloads offer very good value. Both these competing recordings of the Piano Quartet are excellent, both come with informative booklets and both are offered in good mp3, but the Hyperion coupling is more varied and more generous  especially attractive if you already have a version of the String Quartet  and lossless sound can be yours for the same price as the mp3. OperaBabes (Rebecca Knight (soprano), Karen England (mezzo soprano))  rec. April 2011. DDD. Ten years after they were discovered busking at Covent Garden and made their first chart-topping recording, Warner have signed the OperaBabes. Like their earlier albums, Silent Noon is best described as good crossover, combining Ivor Novello and Albert Ketèlbey with more serious material. The programme is varied, but, though the Babes sing well, they tend to make all the music sound rather similar. Most of the material is not gender-specific, but the text of The Salley Gardens clearly relates to a male singer and sits uneasily with a female duo. At 46 minutes this album is even shorter than their earlier release, Beyond Imagination (Sony). The booklet contains the texts  rather extravagantly spread  but little else: we dont even have the name of the capable accompanist. For all my minor reservations, however, Im sure that this should and will sell well. For time to time a batch of Regis budget-price CDs comes my way and the quickest way to get my thoughts online is to include them in a Download Roundup. Regis recordings are, indeed, available as downloads from classicsonline.com, but the savings are small  £4.99 as against a typical £5.50 for the CDs. Amazon.co.uk are actually asking more for the downloads (£6.49) than most dealers are charging for the CDs. Caveat emptor. Subscribers to the Naxos Music Library may find it useful to preview them there, complete with the booklet of notes  in most cases short but to the point. Im delighted to see Brendels Vox and Vanguard recordings of Mozart and others being restored to the catalogue, not least because I remember the stir that they caused when they were first released in the early 1960s. Im less happy, however, that various labels are reissuing them with conflicting couplings. This recording of No.17 duplicates another budget-label release on the Alto label, ALC1114, where its coupled with No.27 as on the original Vox LP. The Alto coupling offers a slightly less generous timing of 62 minutes; otherwise your preference between the couplings must decide. If you go for the Alto, the 2-piano Concerto and Sonata are available on a 2-CD Vox set with Concertos 19 and 20 (CDX5177  on CD, or download from classicsonline.com). Jeremy Noble in 1960 recognised the virtues of this performance of No.17, though he had a reservation about the tempo of the third variation in the finale, a criticism repeated by Stephen Plaistow reviewing the Turnabout reissue  not something that struck me on first hearing, though it sent me back to listen again. After a repeated hearing, Im still with Brendel on this one, not JN and SP. The VSOO give of their best and both Paul Angerer and Walter Klien offer excellent support. As for the recording, that has come up extremely well indeed. I didnt hear the original Vox release but I do remember some of the Turnabout reissues of Brendels Mozart sounding less than ideal, so the engineers have clearly worked some magic here. A typo in the Regis booklet, label and rear insert has given the 2-piano concerto the Köchel number K535. Even worse, Walter Klien has shrunk in stature as Walter Klein. At the price you really cant go wrong  even when these recordings were reissued on Turnabout at 19/11 (£0.99) they cost at least twice as much in real terms as their current price and contained less music: theres 1.5 LPs here. For those who wish to explore Brendels early Mozart recordings further, you may find my earlier review of Concertos Nos.9 and 14 and Sonata No.8 on Alto ALC1047: Bargain of the Month  here. Brendels recording of the Piano and Wind Quintet, as reissued on Beulah Extra 1-3BX165 was reviewed in my November 2011/1 Roundup. The two piano works first appeared on a Mercury LP in 1958, performances characterised as brilliant and fluent, adjectives which still serve very nicely to describe the reissue. They are now separated by another Mercury recording from a year later, of An American in Paris, conducted with characteristic flair and some jazzy tweaks by Antal Doráti, originally coupled with the Porgy and Bess symphonic picture, then re-coupled with Rhapsody in Blue. At around the same price as this reissue theres a recent Naxos recording of the Piano Concerto, coupled with Rhapsody No.2 and I got rhythm Variations (8.559705: Orion Weiss and JoAnn Falletta  reviewed here and in the April 2012/1 Roundup.) Both are good, so choice may safely be left to preference of couplings. The obvious alternative to the Regis coupling comes from Earl Wild with the Boston Pops and Arthur Fiedler on RCA, another late-1950s recording that has come up well  apparently no longer available on CD in the UK but as a download from amazon.co.uk for £5.34. 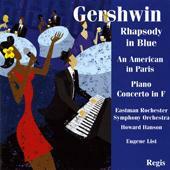 The classic Bernstein recordings of Rhapsody and American are available for a mere £1.78* or, with the West Side Story Dances and the Suite from On the Waterfront, for £5.97 from amazon.co.uk  here and here respectively. * £1.98 from hmvdigital.com in 320kb/s format. Leningrad Philharmonic Orchestra/Yevgeny Mravinsky  rec. 1960. ADD. Two very welcome super-budget releases of Shostakovich, both featuring (Y)evgeny Mravinsky  its a pity that Regis didnt decide on one spelling and stay with it. Theres only one even greater bargain that you may prefer, a 3-CD set of all six Shostakovich concertos from EMI Classics which I made Bargain of the Month in the January 2012/2 Roundup. Ignore the classicsonline.com link until they get their EMI prices sorted  its gone up from £6.99 to £23.98, three times the cost of the CDS, but Im assured that it will be reduced in due course. Nor is the amazon.co.uk price of £7.49 very competitive. 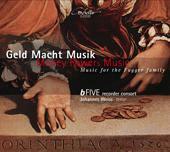 Stream from Naxos Music Library or purchase the CDs for around £7.20. 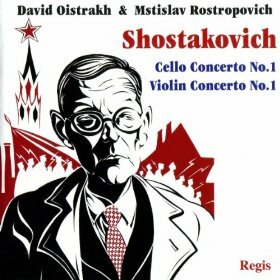 David Oistrakh recorded the first Violin Concerto several times, first of all with Mitropoulos in mono; this is his second recording, with the Leningrad PO and Mravinsky, originally issued on a 10" Parlophone LP and also available coupled with the Second Violin Concerto (Oistrakh and Rozhdestvensky), both Cello Concertos (Ivashkin and Polyansky) and both Piano Concertos (Ortiz and Berglund) on Brilliant Classics 7620 (3 CDs for around £10). The Cello Concerto was recorded, in tandem with the First Symphony, very soon after its premiere. Its easy now to point to the quality of the music and the performance but its remarkable that Jeremy Noble was able to praise both in the highest terms and to offer such a perceptive analysis, still well worth reading here, even though the score had not yet been published. The original CBS coupling is available on CD for around £7 (Sony 88697858322) but the Regis release will have greater appeal for most of us. Rostropovich is less intense than many other performers but the compensation comes in the blending of the intense and the lyrical in this performance; for a more detailed comparison with Enrico Dindo and Gianandrea Noseda on a recent Chandos version of Cello Concertos Nos. 1 and 2 (Chandos CHAN5093), please see the January 2012/2 Roundup. Both concertos are more immediate in their appeal than their successors, though there are good reasons to have the first and second together in each case, having the First Violin and First Cello Concerto together is likely to have greater appeal. Nor could there be better advocates in each case than their dedicatees. When Ormandy re-recorded the Cello Concerto with Yo Yo Ma there was a general feeling that the voltage had been slightly turned down by comparison with the earlier Rostropovich version. The symphony was released on the MK (Melodiya) label in 1961. 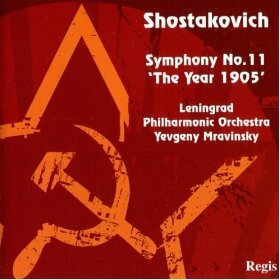 Even now its probably the least appealing of the symphonies to Western ears, though its now believed that Shostakovich intended the Eternal Memory adagio as a threnody as much for the Hungarian victims of Soviet oppression as for those of the Tsarist soldiers in 1905. Mravinsky was not one to eschew the party line  he refused to conduct the premiere of No.13  and he gives a performance which helped to restore the composers standing with the authorities. The tempi adopted are on the fast side by comparison with my benchmark recordings, Vasily Petrenko on Naxos (8.572082) and in the first two movements with Gennadi Rozhdestvensky (Olympia OCD152, no longer available) but Semyon Bychkov (Avie AV2062) is marginally even faster in the outer movements. Petrenko and Rozhdestvensky (if you can find a copy of the latter still kicking around) remain my favourite interpreters; I enjoyed hearing the Mravinsky but I doubt if it will find a permanent place in my collection. The sound for the Violin Concerto is mono, though Regis dont say so anywhere that I could see. That apart, the recording has come up very well for its age  a trifle shrill, but no real complaints. The Cello Concerto sounds even better. The Symphony also sounds somewhat shrill but that suits this work in many respects. When first released on LP it came with crackly surfaces  a speciality of the MK, Supraphon and Saga labels at the time, some of which sounded as if recorded in a chip shop, but which need no longer worry us on CD  and a technical fault that caused a drastic drop in volume just before the climax of the third movement, no longer apparent. Both CDs come with some fine notes, from Gavin Dixon. If youre still looking for more Mravinsky in Shostakovich, his recording of the Eighth Symphony, reviewed here by Rob Barnett alongside his BBC Legends version, has transferred from Regis to Alto (ALC1150) in the same super-budget price range.